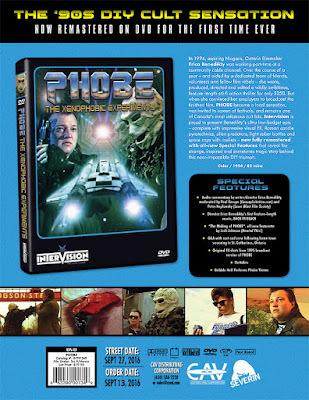 s DIY Cult Film "Phobe". The film is being released for the first time on DVD. 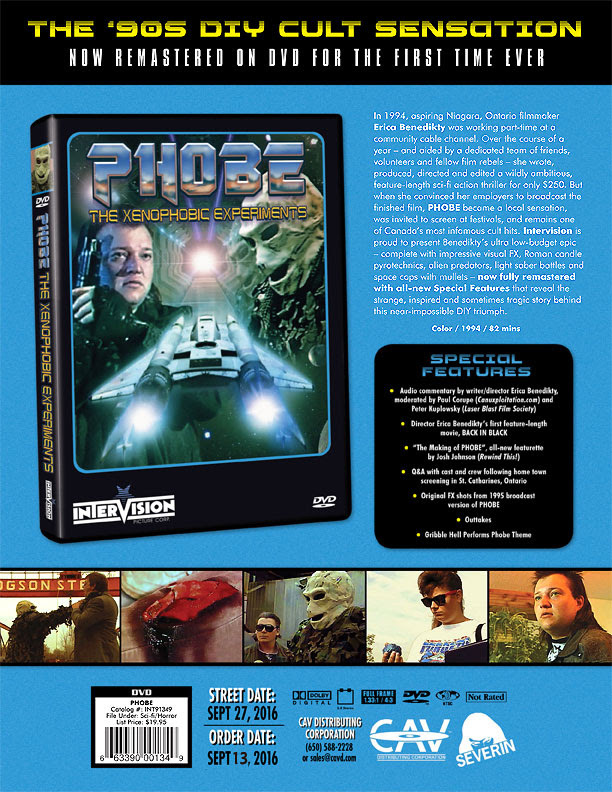 Special features on the DVD includes Audio commentary by writer/director Erica Benedikty, moderated by Paul Corupe (Canuxploitation.com) and Peter Kuplowsky (Laser Blast Film Society), Director Erica Benedikty's first feature-length movie, BACK IN BLACK, The Making of PHOBE: A documentary on the creation of the film and it's continuing legacy, Q&A with cast and crew following home town screening in St. Catharines, Ontario, Original FX shots from 1995 broadcast version of PHOBE, Outtakes and Gribble Hell Performs Phobe Theme.